Cherry, E. C. 1953. Some experiments on the recognition of speech, with one and with two ears. The Journal of the acoustical society of America 25(5):975–979. Da Costa, S.; van der Zwaag, W.; Miller, L. M.; Clarke, S.; and Saenz, M. 2013. Tuning in to sound: frequency-selective attentional filter in human primary auditory cortex. Journal of Neuroscience 33(5):1858–1863. Kaya, E. M., and Elhilali, M. 2017. 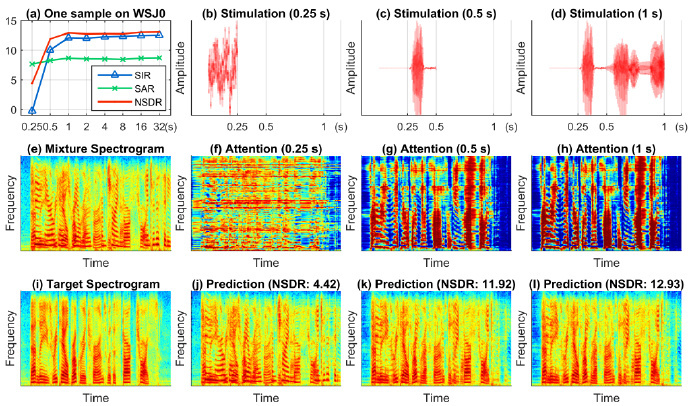 Modelling auditory attention. Philosophical Transactions of the Royal Society of London 372(1714). Santoro, A.; Bartunov, S.; Botvinick, M.; Wierstra, D.; Lillicrap, T. 2016. Meta-learning with memory-augmented neural networks. In the 33rd International Conference on Machine Learning, 1842—1850. Kaiser, Ł.; Nachum, O.; Roy, A.; and Bengio, S. 2017. Learning to remember rare events. In 5th International Conference on Learning Representations. Sukhbaatar, S.; szlam, a.; Weston, J.; and Fergus, R. 2015. End-to-end memory networks. In Advances in Neural Information Processing Systems, 2440–2448. Graves, A.; Wayne, G.; and Danihelka, I. 2014. Neural turing machines. arXiv preprint arXiv:1410.5401. Xu, J.; Shi, J.; Liu, G.; Chen, X.; Xu B. 2018. Modeling attention and memory for auditory selection in a cocktail party environment. In Proceedings of the 32nd AAAI Conference on Artificial Intelligence.